But there is one major drawback that may limit their long-term survival. The ringed seals that live on Norway’s Svalbard archipelago are learning a new way of life as sea ice fades from their fjords. But scientists are unsure if their adaptability will be enough to save them. Ringed seals rely on sea ice for survival. During pupping season, in early spring, mother seals dig lairs in the snow that accumulates on the sea ice. These lairs shelter their pups until they’re about a month old, when they have thick enough blubber to survive in the frigid water. Throughout their adult lives, ringed seals haul out on the ice to rest. In the summer, they use the ice as a platform for their annual molt. But on Svalbard’s western shores, sea ice has been disappearing for several years. Warm Atlantic water is now flowing deep into the fjords, replacing the colder Arctic water that once surrounded this northern archipelago. Now, ice is forming later in the year, and there’s less of it. In some areas, no ice forms at all. “You can say that the west side of Svalbard is actually not Arctic anymore,” says ecologist Christian Lydersen of the Norwegian Polar Institute. Soon, it will no longer resemble the ringed seal’s traditional habitat. With sea ice becoming scarce, some of Svalbard’s ringed seals have responded by hauling out on rocks and mudflats. The change of habit may be the result of sheer desperation, or it may be something they’ve learned from their new neighbors: harbor seals that have expanded north as the water has warmed. This new love of land is a good sign for ringed seal survival, says Lydersen, whose team recently published a study on the seals’ adaptation. “Things are happening fast, but at least by [hauling out on land] they take care of some of the issues that they used sea ice to solve before,” such as resting and molting. But this new strategy may not ensure the long-term survival of ringed seals. Lydersen says on his last few tagging expeditions to Svalbard, he and his colleagues recorded the fattest, healthiest female seals he’s ever seen. But this deceptively encouraging data is actually a sign of a grim reality. “The reason for it is because they lost their pup,” Lydersen says. “If you go through a normal lactation period, the females lose a lot of body mass.” But when pups don’t survive until weaning, female seals stay healthier and fatter. Without the snowdrifts they need to dig their lairs, some female ringed seals have resorted to pupping on open ice. That usually ends in tragedy. All too often, the pups—only four kilograms at birth without their insulating fat—freeze to death. Usually, pups would stay near their den until they’re approximately 20 kilograms. Baby seals on the open ice are also easy prey for polar bears, Arctic foxes, and even gulls. No one has yet observed a ringed seal pupping on dry land. But even if they do, Lydersen says the vulnerable pups will face the same risks there as on open ice. For adults, however, it’s a different story; dry land offers a good spot to rest and molt. Taking to land will probably help the seals cope with some of the challenges of losing their icy habitat. It could be enough, says Lydersen, to give the seals a fighting chance. Kiona N. Smith is a freelance science journalist based in Tulsa, Oklahoma, where she shares an office with a border collie, a gecko, and a wildly impractical number of books. 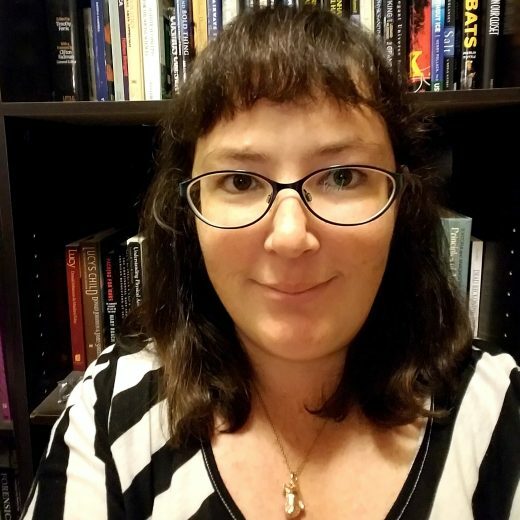 She blogs about science history at Forbes, and her work has appeared in Air & Space, Ars Technica, Astronomy, Discover, Drone360, Gizmodo, Hakai Magazine, Popular Mechanics, and the Washington Post. Cite this Article: K. N. Smith “Ringed Seals Adapt Quickly to Climate Change,” Hakai Magazine, Jan 17, 2018, accessed April 25th, 2019, https://www.hakaimagazine.com/news/ringed-seals-adapt-quickly-to-climate-change/. There were the cod wars and then the turbot wars—are the crab wars now upon us? As the climate changes, the Arctic Ocean beckons Pacific salmon and other species. How will we fish responsibly?